Chairman of the Ho Chi Minh City People’s Committee Nguyen Thanh Phong yesterday had a meeting with Mr. Juraj Droba, Governor of Bratislava region (Slovakia). At the reception, the city leader affirmed that the friendship relations between Slovakia and Vietnam have been consolidated and developed through bilateral summits. 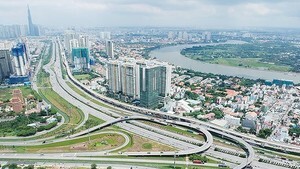 On the occasion, Chairman Nguyen Thanh Phong introduced foreign investment activities in the city, adding that Ho Chi Minh City took the lead in the country's foreign direct investment (FDI) capital attraction. 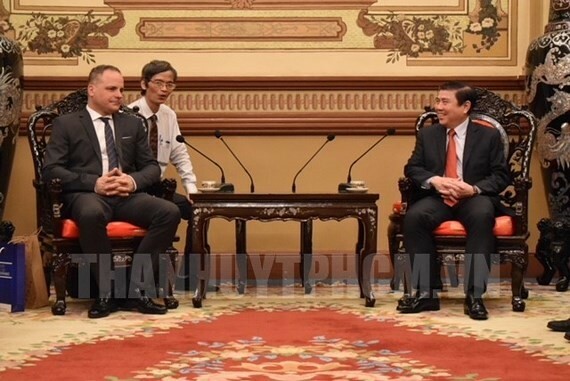 The governor of Bratislava region expressed his impression about Vietnam’s economic achievements, and affirmed that potentiality of economic cooperation between both sides woud soon be developed. Governor Juraj Droba pledged to create favorable conditions for Vietnamese and city enterprises to learn cooperation opportunities in Bratislava region; and highly appreciated integration of Vietnamese community in Slovakia as well as in Bratislava region.